Stephanie Jaeger is an experienced project management consultant. She has diverse experience working in construction, healthcare, and the IT sector. She has extensive experience in East Africa with emphasis both in the Healthcare & IT Sector. Her expertise includes developing systems, processes, tools, templates, methodologies, and implementation of the same apart from project management and program management. She has expertise in establishing PMOs. She is a trainer, consultant, mentor, and writer as well. She has been volunteering for PMI for the last 6 years on various levels. For the PMI Kenya Chapter, she has been the Board Secretary, Election Coordinator and is currently advising the President. For Region 16 (Africa) she has served as an Editor of the Publication Committee. TaskQue: Please tell us how you started your career? What was the motivation behind entering this field? Stephanie Jaeger: I started my career in Germany as a Nurse and later settled in Kenya, still as a Nurse, often working in remote hard-struck areas. Later, I completed my BBA in Healthcare Management and took on more administrative, training and quality control roles. At one point, it became difficult to find a job in the medical field as a foreigner. I finally managed to secure a job in a company that was providing software solutions for the healthcare sector. When that company shut down, one of the shareholders offered me a job in his IT company. After a year of sorting out client problems, many of these involving client projects, I was literally forced into project management by my employer. I tried to resist since I thought I knew nothing about project management. However, once I settled into the position and attended PMP training, I quickly realized that nursing and project management do have a lot in common. The principles we used in nursing care planning, are the same you use in project management planning. This is when it dawned on me that I was fit to embrace my new career as a project manager. I also got involved in the PMI Kenya Chapter, which was still in formation, and a whole new world opened up to me. TaskQue: What do you think are the red lines for a PMO. What are the common challenges faced by a PMO and how should they be tackled? Often, PMOs are started for the wrong motives and without defining the basics first. For instance, as soon as I was made project manager, I was tasked to set up a PMO. Yet, I soon realized that the Senior Management did not really know what a PMO is and never defined what they wanted the PMO to do. They had simply read that a PMO is essential and will sort your project problems. So, I had to sit with them and define what they really wanted. From there, I started setting up the PMO. No two PMOs are exactly the same. If you do not define the role clearly, you end up with either conflict of interest, by the PMO trying to do compliance assessments while managing projects, or a totally overloaded PMO, since resources are not sufficient for the expected scope. If you check my article “5 Things to consider when setting up a PMO” published in LinkedIn, you will find some of my lessons learned setting up PMOs in two different companies; documented. Another common problem is that the person or group tasked with setting up the PMO develops a set of SOPs and policies based on their subject matter knowledge, without any input whatsoever from various departments. Hence, these processes and policies might not meet the company or departmental needs. They will be forced into operation, simply based on being in accordance with whatever standard was being used. I firmly believe in customization to meet the needs of the situation or the company. If you design processes and policies for a team, buy-in will also be very low since the processes will be forced on the teams and departmental heads. They cannot own them and will most likely resist them. A better approach is to sit with each team, start by analyzing the existing processes and the pain points each team experiences. Many existing processes will be good and functional, requiring just a little tweak. These should be kept for now and only those that do not work are altered. Address the pain points the team mentioned first. Later, you will set a regular review process into place and all processes and policies will be reviewed by the stakeholders regularly. 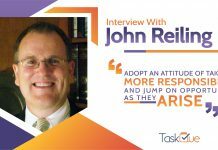 How that review process looks will depend on the size of your team, the level of maturity, the organizational structure and how comfortable the junior staff members are speaking up in front of their seniors. In my environment, I often use a 3-prong approach. First, I meet up with the staff on the ground, bond with them and get them to talk, then the results are documented and discussed at the mid-level. Sometimes this includes a ground level representative. After the recommended changes and issues are discussed and possible solutions drafted, this will be documented and presented to the Senior Management. They will try and do the perfect set of SOPs and policies and implementation will be delayed for a long period. It will also frustrate the head of the PMO, since every time it looks like the SOPs and policies are ready, one Senior Manager will want to do just one more change. The policies and procedures will not work anymore after some time since they have been overtaken by events. I recommend regular review, at least once a year, but in some industries, it may be necessary to review every 6 months, every 3 months or even for every project. We live in a world that is changing faster and faster and we need to become very agile in our thinking. If we do not adapt constantly to the changing requirements and industry developments, we will be left behind. Outdated processes and policies will hinder your implementation and delay your projects. This results in a loss of profit. Of course, there are numerous other common problems, many having to do with communication breakdown, lack of buy-in and lack of definition. But those mentioned above are the most common in my experience. TaskQue: You were associated with PMI Kenya Chapter. Please tell us about your experience working with PMI. Stephanie Jaeger: Getting involved with PMI and volunteering has opened a totally new world of opportunity for me. I joined when I was still trying to get my head around the new job as a project manager. And suddenly I had all these mentors helping me settle in my new role and helping me pass my PMP exam by mentoring me and sharing their own experience. Related: How Much Time is Required For PMP Exam Preparation? At the same time, by volunteering, I learned so much about PMI and the resources you get access to as a member. As a Board Member, I was also privileged to participate in the first 3 Region 16 (Africa) Leadership Institute Meetings (RLIM), the first two PMI Africa Conferences and instantly had such an amazing Network through connections with the other chapters. In Region 16, we have a Mix of one very “old” chapter and many brand-new chapters. South Africa Chapter was the first PMI chapter outside of North America and is almost 40 years old. There are PMP certified people there who did their PMP in the 1980s. You can imagine the knowledge and experience you get in this network. I was also privileged to be accepted in the 2018 Leadership Institute Master Class (LIMC), a program for seasoned Chapter Leaders, that helps you grow in leadership on a very personal level. This changed my life, not just my career. Other opportunities that opened up with LIMC were being able to speak in chapter events, being MC for various chapter events and giving reports during the RLIM. TaskQue: Would you like to mention a few personalities who you think are working great in your country in this field. Stephanie Jaeger: My country is a boomtown in terms of project management. The changes and developments I have seen in the last 6 years are amazing. Seeing how the different sectors are embracing project management and starting to see PM as a respected profession is amazing. There are many wonderful people who are setting the bar high. Let me just name a few in 2 categories. Three of the pioneers of the PMI Kenya Chapter are Clement Kitetu, Murtaza Esmailjee, and Rodney Sultani, who have also mentored me at different times. Some of the pioneers in indigenous project management consultancies are Lawrence Mbugua, Rose Kananu, David Kangara, George Ngache, Moses Hunja, people I know well and admire what they are doing. The list is endless. TaskQue: Would you like to give your two cents to new project managers, especially women in this field. 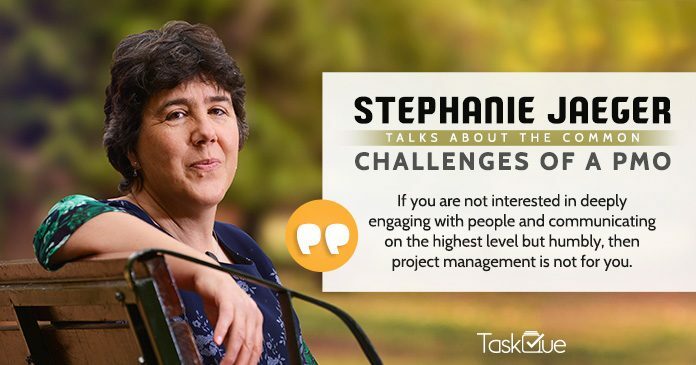 Stephanie Jaeger: If you are not interested in deeply engaging with people and communicating on the highest level but humbly, then project management is not for you. TaskQue: Workstation impacts everybody’s productivity a lot; we would be really glad if you could share clicks of your workstation with us? 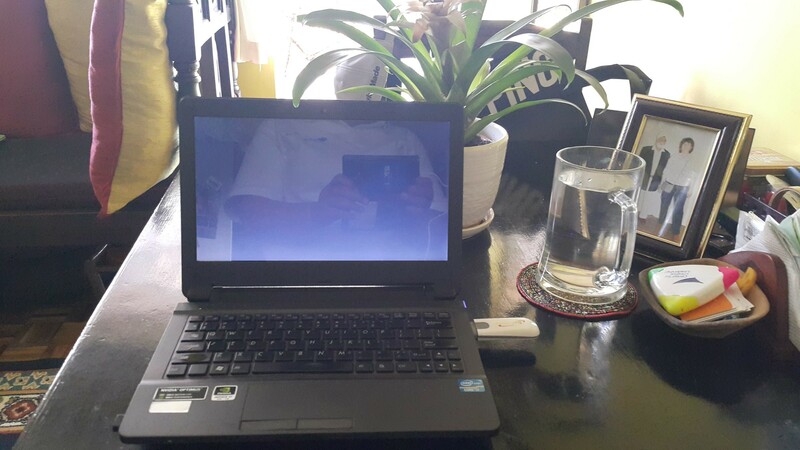 Stephanie Jaeger: I currently work from home, hence most of the time my workstation is my dining table facing outside into my tropical garden. TaskQue: Apart from work, what hobbies have you adopted to relax and refresh your mind? How much do you believe in attaining a perfect work-life balance? Stephanie Jaeger: For me, work-life balance is essential for good health. I love being outside in nature and try to play golf at least once a week. It is very relaxing since you have to clear your mind completely to be able to play well. I go early in the morning when the course is not busy. 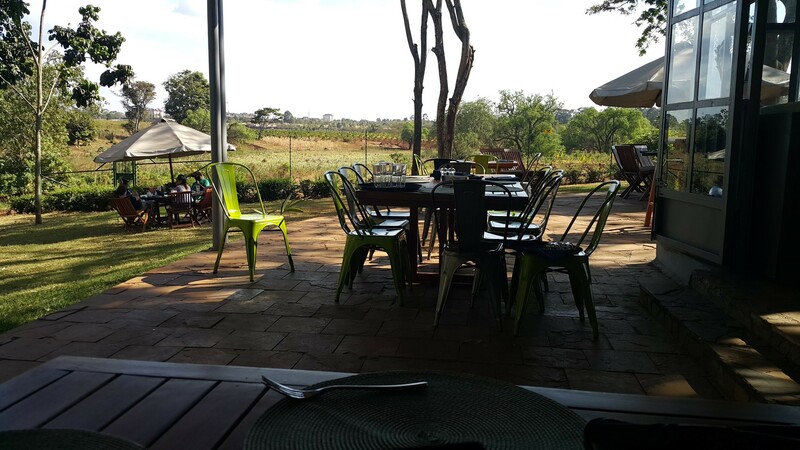 On other days, I will go for walks either in the neighborhood or in Nairobi’s beautiful Karura Forest. Whenever I get a chance, I will go for a hike. Unfortunately, I had to stop long distance running due to wear and tear in my joints. I still frequent the gym and at times do yoga at home. Basically, I work out 3-5 times a week. I have not used TaskQue myself. A quick look at the website shows a scheduling and document software, that has very little storage in the free basic version. However, this should be more for testing it out. The paid version is very affordable. Overall, I think it looks like a lower version of Wrike (which I have used) in terms of features, however much cheaper. I have not checked out any reports etc, but basic reports and dashboard views seem to be there. Looks like a useful budget-friendly scheduling tool. Like Wrike, it does not have any financial modules. I also have not seen an App. Apps make it much easier to update for field staff. If they are out on client sites all day, they are not very likely to open the computer in the evening and do their updates. Also, not all team members may have computers. With an App, they can still do their updates.